FAIRBORN — The Fairborn City School District made it official during its Jan. 10 board meeting, but the news has been out since before Christmas Break. Randy Kerns has been named — and now approved — as Fairborn High School’s new varsity football coach. 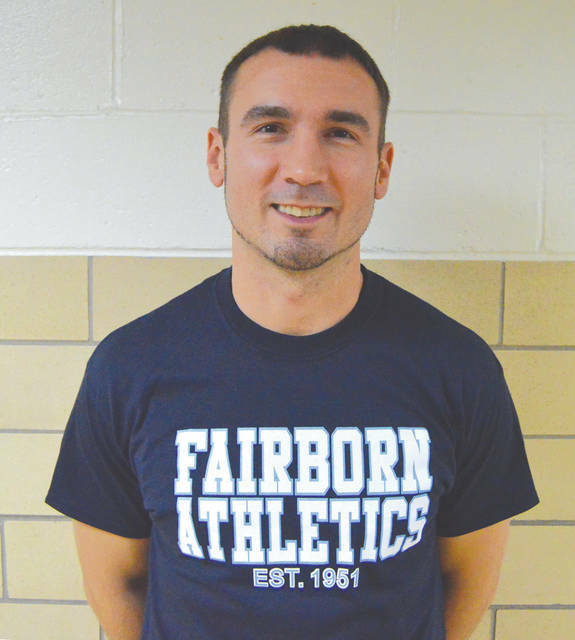 Fairborn Athletic Director Kevin Alexander first asked Kerns to take over the head coaching job. The two had worked together while both were at National Trail High School in New Paris. In those two years, Kerns led Swanton to a 10-10 overall record, including a 7-3 season in 2017 that got the Bulldogs into the Division V, Region 18 playoffs. Kerns said he wanted to evaluate his players before he would decide on any offensive or defensive schemes for his program. He hadn’t created a coaching staff back in December. Kerns was visiting family in the Miami Valley over the Christmas holiday break, but was still living in Swanton at the time of his hiring. “I’m just doing the best that I can, while coaching from afar. I am here to get to know people as much as possible and to try to meet everybody and get to know the kids here,” Kerns said. “I think it’s a pretty supportive and sound community here, and the people I’ve talked to so far have had nothing but good things to say about the school and its athletic programs. I like what I’ve seen from the kids so far, and I really appreciate the school spirit that I’ve seen from them at these basketball games! Kerns replaces former Fairborn coach Chris Roark. According to Alexander, Roark resigned from the position after last season. After beginning the season with five losses, the Skyhawks won two of their final five games to finish the season at 2-8, 2-2 in the GWOC South and tied for third in the five-team division. The last winning record that a Fairborn team has had came back in 2011 when the Skyhawks tied for first in the Greater Western Ohio Conference’s South division with Lebanon. Fairborn finished that year at 6-4 overall, 3-1 in the division with its only divisional loss coming to Lebanon.